View cart “Bienvenidos – Part 5” has been added to your cart. Chieli Minucci is best known as the leader of the Grammy-nominated contemporary jazz group Special EFX, which formed in 1982. 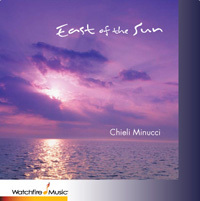 Minucci & Special EFX have recorded a combined 25 CDs, 8 of those being solo releases. In addition Minucci has recorded and performed with top pop artists such as Celine Dion, Lionel Richie, Jennifer Lopez, Jewel, Mark Anthony, Jessica Simpson, Anastasia and others, as well as jazz/pop artists Bobby Caldwell, Marion Meadows, Jay Beckenstein, Kim Waters, Alex Bugnon, Gerald Veasley, Lao Tizer, Nestor Torez, Bob Baldwin, and many others. His father, Ulpio Minucci (concert pianist/composer) wrote the now ‘standard’ 1955 hit song “Domani,” as well as “A Thousand Thoughts of You,” and “Felicia” (both sung by Nat King Cole). Also known as a composer for television and film, Minucci was nominated for several Daytime Emmy Awards and has won three, in 1998, 2007, and most recently in 2008, for his compositional work on CBS’s The Guiding Light. He has written music for well-known programs such as Good Morning America (theme), Bloomberg Radio (theme), Access Hollywood, The 700 Club, and others. He also contributed music to the soundtracks of Bowfinger (1999) and Panic (2000), as well as most recently to the award winning short, ‘Lifted’ (2007). Minucci composed and produced the soundtrack for the Live Nation/Nickelodeon live stage productions of the hit TV series, Dora the Explorer (both ‘Dora’s Pirate Adventure ,’ and ‘The City of Lost Toys’) which are currently touring internationally. He also wrote and recorded original songs for the live stage production of Thomas & Friends Live™, (both ‘Thomas Saves The Day!’ & ‘A Circus Comes to Town’). 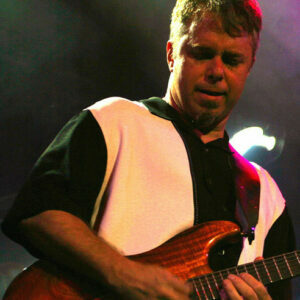 Guitarist, composer, and arranger Chieli Minucci is the leader of the Grammy-nominated jazz-fusion group Special EFX, which he co-founded with the late George Jinda in 1984. 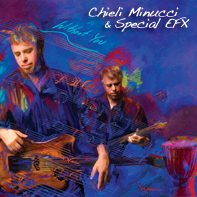 A major force on the jazz and world music scene for 25 years, Special EFX’s newest release, “Without You” is a diverse collection of jazz-fusion, world rhythms, and the effortlessly flowing guitar artistry that Chieli (key-eh-lee) is known for. Special EFX is one of the most prominent world fusion groups of the era. During the course of the band’s phenomenal rise to the top of the jazz charts, they released 25 CDs, including Chieli’s 8 solo releases and a live concert DVD. Seminal songs like “Daybreak”, “Cruise Control”, “Bella” and “Seduction” were among their chart-topping hits. Aside from writing and performing his own music, Chieli shares his guitar brilliance throughout the entertainment world. He has recorded and performed with top artists Celine Dion, Lionel Richie, Jennifer Lopez, Jewel, Mark Anthony, Jessica Simpson, Anastasia, Marion Meadows, Alex Bugnon, Nestor Torres, and many others. 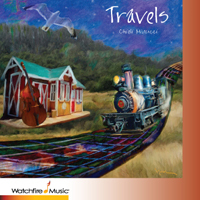 Renowned in the jazz and pop world, Chieil is also a gifted television and film composer. He has won 3 Emmy Awards and been nominated 10 times for his eclectic compositional work for CBS’ The Guiding Light. He has also written theme music for Good Morning America, Bloomberg Radio, and Access Hollywood. His music can also be heard on the soundtracks of the films Bowfinger, Legally Blonde, Panic, and others. On the Broadway scene, Chieli composed and produced the soundtrack for the hit TV series, Dora the Explorer. He also wrote and recorded original songs for the live stage production of Thomas & Friends Live™. Chieli’s popular song “Kickin’ it Hard” is featured as the prime hold music on Verizon’s conference audio bridge system. …extraordinary range and technical finesse.